Intex Technologies is on a roll. After unveiling the Aqua Amaze Plus, Cloud Q11 4G and Cloud Style 4G in quick succession within the last two weeks, the Indian smartphone manufacturer has launched the upgraded version of the Aqua Young with the inclusion of Voice over LTE (VoLTE). The Intex Aqua Young 4G surfaced on the company website earlier today and will make it to stores, both online and offline within a few weeks. 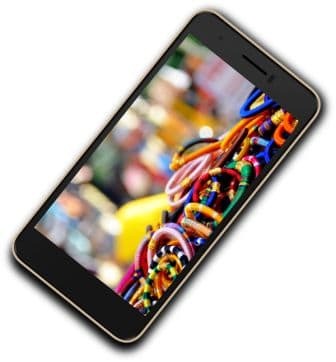 The Intex Aqua Young 4G has been priced at Rs. 5849 and will be available in Champagne and Blue colour variants. Unlike other smartphones in this price bracket, the Intex Aqua Young 4G has not-so-impressive specs which we shall discuss in the following paragraphs. The Intex Aqua Young 4G sports a 5inch display with an FWVGA (480 x 854 pixels) resolution. Normally smartphones in price range have an HD resolution display. The pixel density stands at 200ppi and an unnamed glass protects the display on the smartphone. 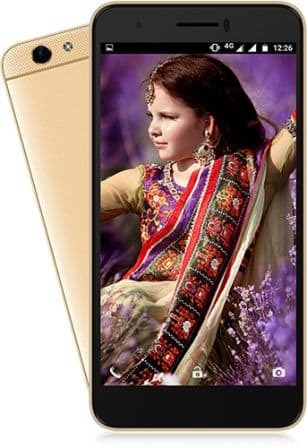 The Intex Aqua Young 4G has a MediaTek MT6737 processor at its heart which houses a 1.1GHz quad-core ARM Cortex A53 processor, Mali T-720 MP1 GPU and 1GB of RAM. The internal memory of the Intex Aqua Young 4G stands at 8GB out of which 3.75GB remains vacant for the user. Don’t fret for storage as the Intex Aqua Young 4G has a microSD card slot that gobbles up cards of up to 32GB. When it comes to photography on the Intex Aqua Young 4G we have a 5MP LED flash equipped sensor on the rear and a 5MP camera on the front. The Intex Aqua Young 4G is powered by a 2800mAh battery that can offer 200 hours of standby and 14 hours of talk time. The connectivity options on the Intex Aqua Young 4G include Wi-Fi, Bluetooth and microUSB. 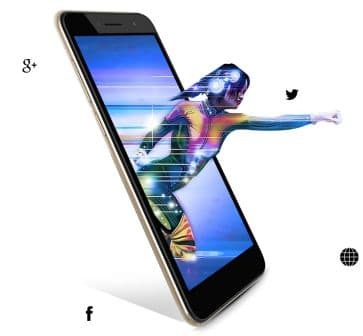 The three sensors on the Intex Aqua Young 4G are proximity, light and gravity sensors. The Intex Aqua Young 4G has been preloaded with Mifon, IPL Game and Game Play apps. The company is offering a screen guard for free with the smartphone.